I am such a morning person (come the afternoon, forget about it) because I love the light, the quiet of the early hours and that great feeling that the whole day is ahead and the possibilities it could hold. Since being pregnant I have been taking the mornings a bit more gently: staying in bed a bit longer, listening to the radio whilst eating breakfast. 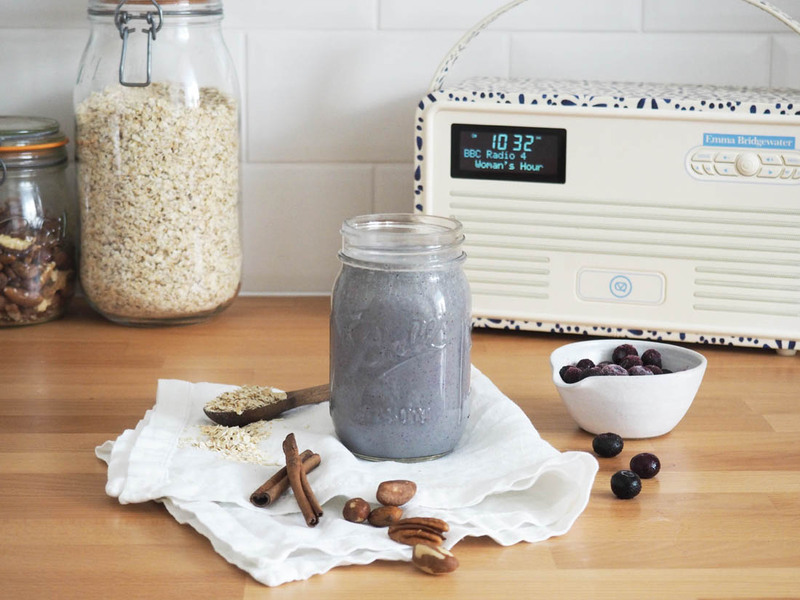 I wanted to share with you my favourite morning smoothie recipe today, as well as showing you this gorgeous new Emma Bridgewater designed VQ radio; two things that got me through the rough mornings of the first trimester of pregnancy and that I have been thoroughly enjoying during the more relaxed mornings of the third trimester. 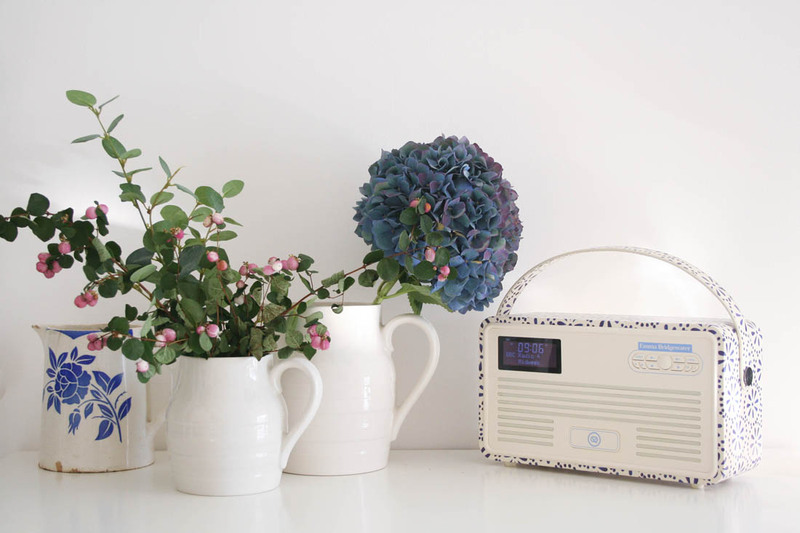 VQ have collaborated with Emma Bridgewater to design five new radio patterns for their Retro Mk II radio. 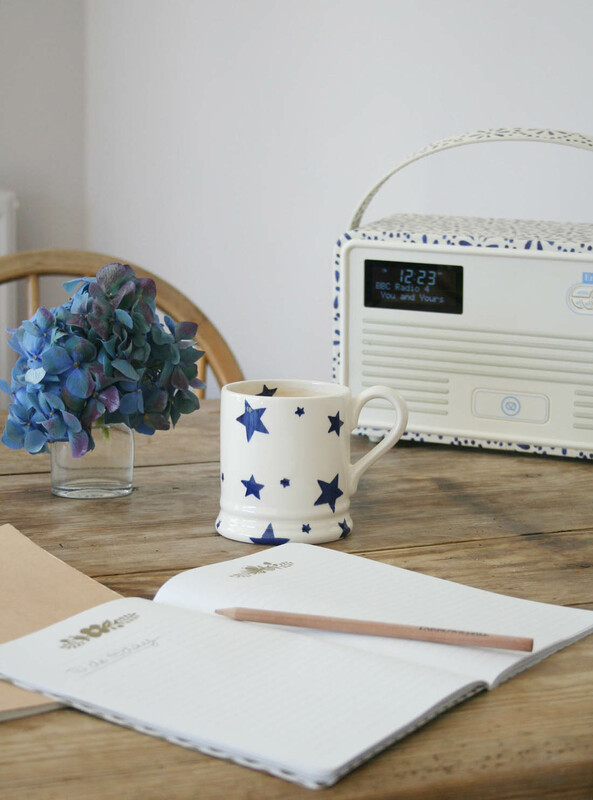 I chose the Blue Daisy pattern as I love blue and white and it goes perfectly with my collection of blue and white crockery – perfect for long, leisurely breakfasts whilst listening to Radio 4. The Retro Mk II radio also has a lightening dock or it’s possible to connect with Bluetooth so I can play tunes from my phone, too, perfect for kitchen discos in the evening whilst cooking dinner. For exclusive access to a pre-sale for the Retro Mk II on Tuesday 22nd November from 5pm visit QVC here. The five new Emma Bridgewater designs will be available as a special offer on the QVC shopping channel on Black Friday, November 25th. To get exclusive access to a pre-sale for the Retro Mk II on Tuesday 22nd November from 5pm you can visit QVC here. As well as that QVC have launched a poll so that you can vote for your favourite pattern. Which style would suit your home best? Vote on your favourite by scrolling to the bottom of this post. The radio is the perfect addition to the kitchen to keep me company early in the morning whilst making breakfast. It’s super easy to tune into my favourite radio stations and the sound quality is great. 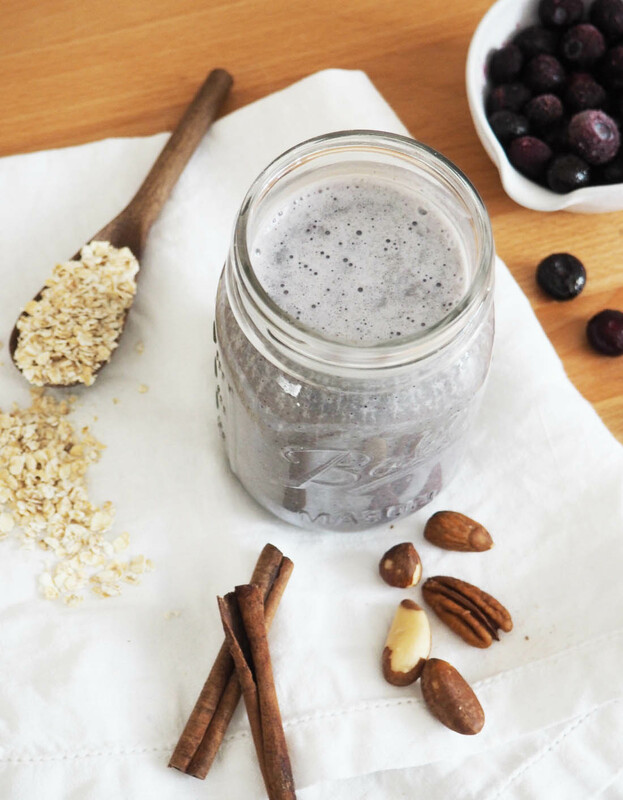 Here is the recipe for my favourite smoothie that is perfect for a good dose of energy plus I sneak some spinach in there so it’s extra good for you. 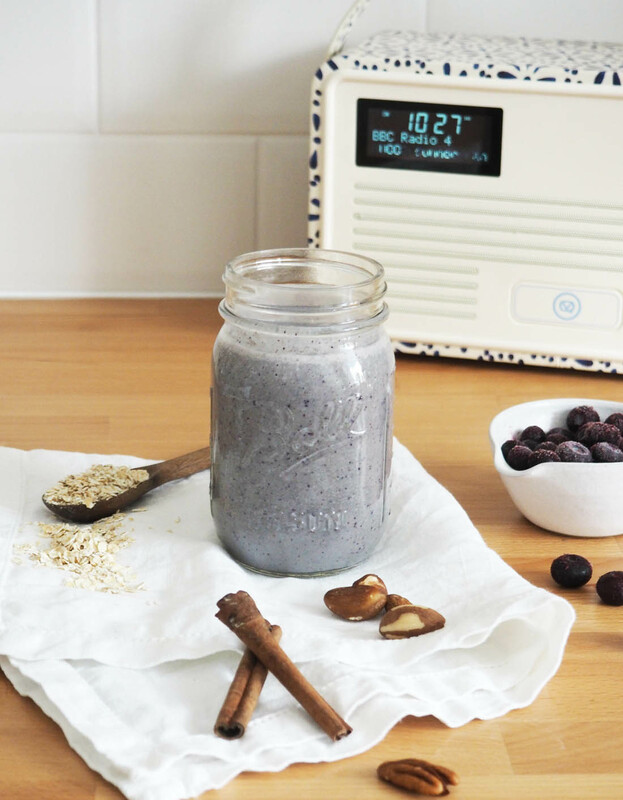 Once I have had my smoothie I am ready to tackle my to do list and the radio never leaves my side during the day as it can run on batteries so can travel around the flat with me. 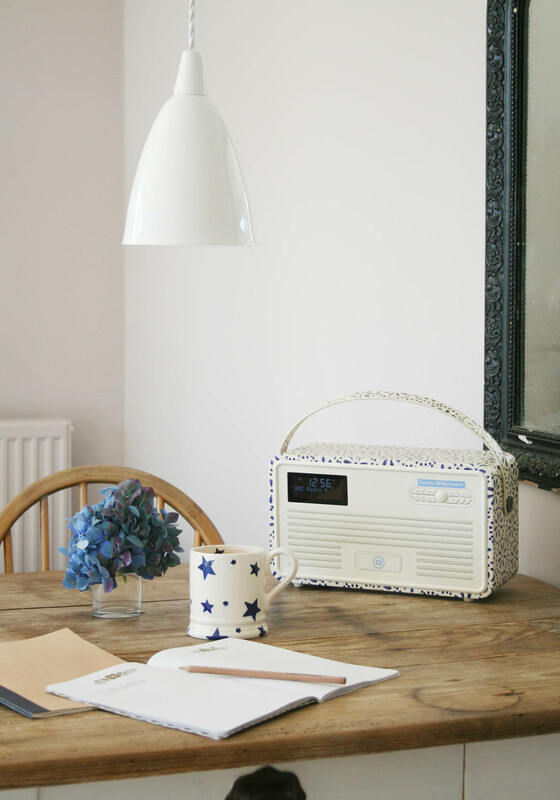 The pretty, delicate daisy pattern and retro styling of the radio looks great with a vintage decor as well as being fresh enough for a more modern room. I use it on my desk, in the kitchen, on the dining table and it has a great alarm system so it’s good to have next to the bed in the morning, too. Don’t forget, vote for your favourite design below and don’t miss the sale starting on November 22nd at 5pm! Happy weekend! 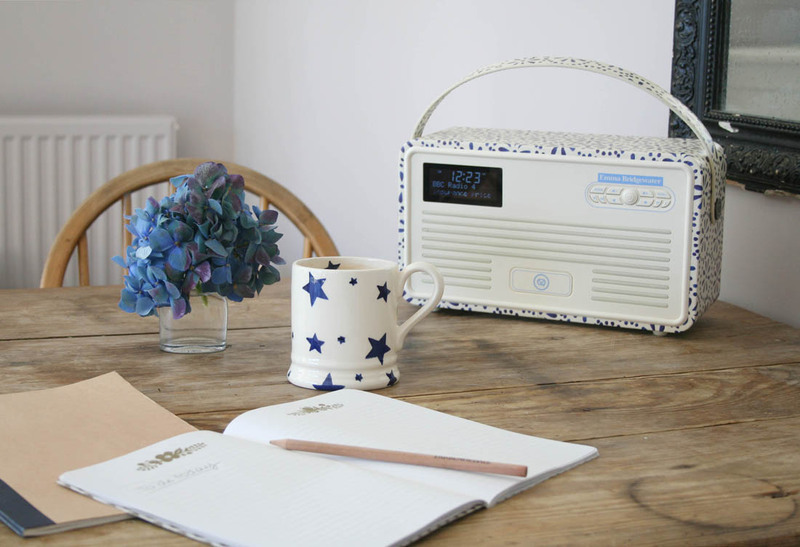 Which VQ Retro II Emma Bridgewater design is your favourite? *This post was written in collaboration with VQ. 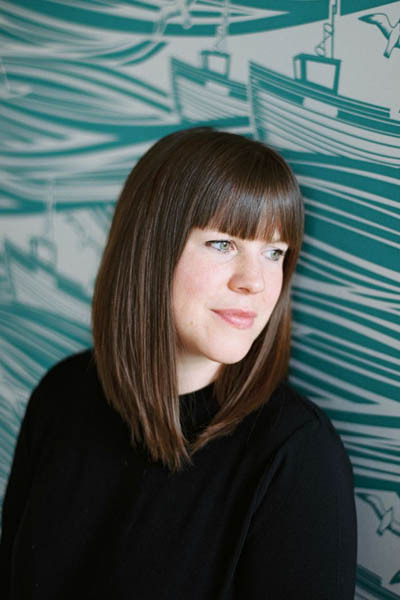 Next Post WIN £250 to spend on blinds or shutters with Luxaflex! 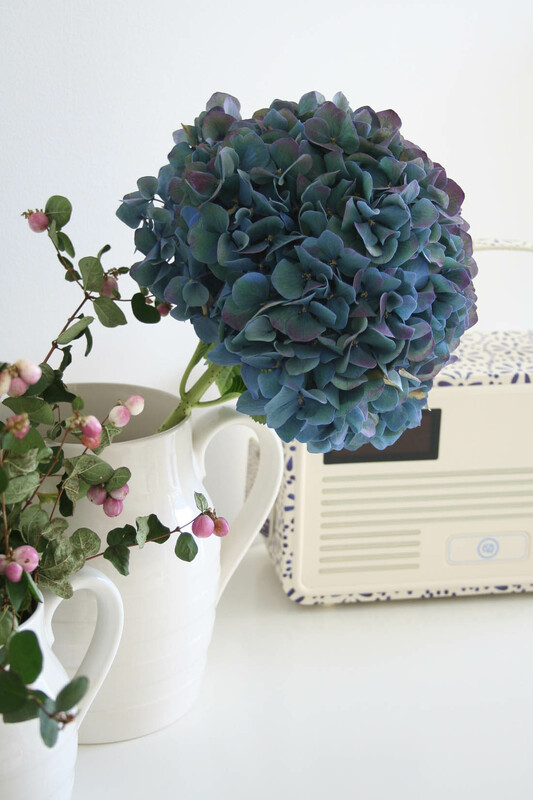 Hmmm, gorgeous radio. Like the idea of such a stylish alarm for the side of the bed, too!